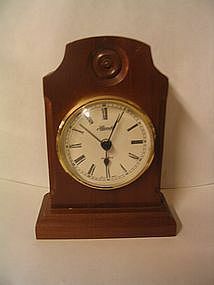 Battery operated clock marked as New Haven for Home Interiors. It was manufactured in the USA. 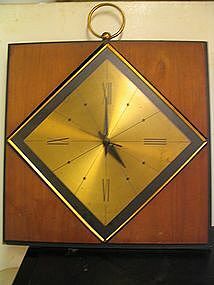 This is not a new clock, but not sure of the date of manufacture. It keeps perfect time and shows no damage, other than slight wear to the finish. I need your zip code to calculate the postage. 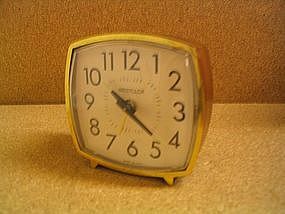 Vintage wind-up alarm clock marked as Westclox made in USA LaSalle, Ill. The body is brown plastic. It measures approximately 3 3/4 x 3 3/4 x 2 inches. It is in working order. There are superficial scratches to the surface. I need your zip code to calculate the postage. 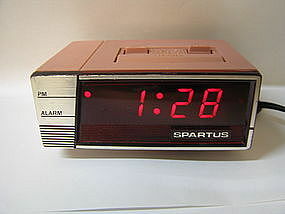 Vintage electric alarm clock from Spartus. It is marked as Model No. 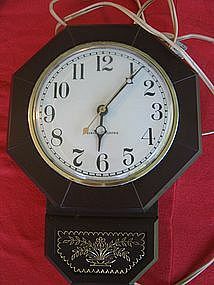 1169-C1, Made in Hong Kong, 526N Clock. It has a plastic body. It is good working order and the cord is undamaged. There are superficial scratches to the surface and needs cleaning. I need your zip code to calculate the postage. 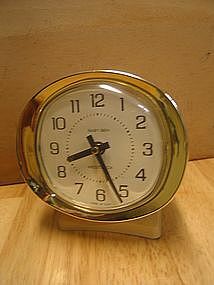 Vintage electric wall clock. It is marked as Model 2118 Ashland, Mass. It is approximately 9 1/4 inches in length and 7 inches in width. It has a gold image of a floral arrangement on the lower portion. There is minor wear to the gold trim and a tiny spot on the plastic that I had never noticed before, until it was lying flat in the natural light. It looks like a small piece of tape has been removed and left residue. I will not try to remove. I need your zip code to calculate the postage. 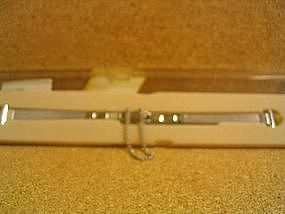 This is a vintage watch band in an unused condition. The package describes it as a Twist-On Speidel 3549/SS 10R. The original pins are in the case. When the band is not expanded, the length is 4 1/2 inches and it is a 1/2 inch width. It is a silvertone finish. I need your zip code to calculate the postage. 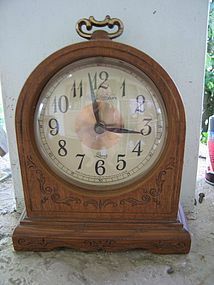 This is not a new clock. It was manufactured in the USA and not a reproduction. It shows minor age related darkening to the plastic base. The back is metal. The bottom is stamped 08112C. The alarm works nicely. The clock loses about 10 minutes every 7 days. I know there is an adjustment to speed it up, but I can never get it right. Complete condition photos by email. I need your zip code to calculate the postage. It measures 6 1/2 inches in height and 5 inches in width. 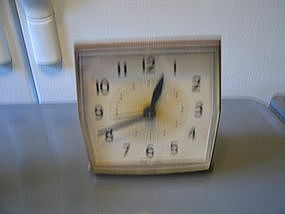 It is an alarm clock and in good working condition. There is wear and discoloration to the brass tone finish. I need your zip code to calculate the postage. 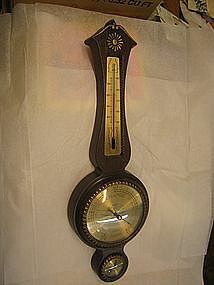 Banjo shaped barometer in Syroco case. It measures approximately 20 inches in length. It is in good working order. There is minor wear to the finish. I need your zip code to calculate the postage. It is approximately 8 x 5 1/2 inches. It is quartz and uses an "N" battery. It is in good working order and has no structural damage, but it looks as if the crystal needs to be removed and cleaned from the inside. I need your zip code to calculate the postage. 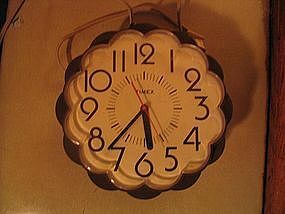 Vintage Timex electric wall clock. It is approximately 7 inches in width. It is in working order. No chips, cracks or breaks, but does have some scratches to the clear plastic cover. I need your zip code to calculate the postage. 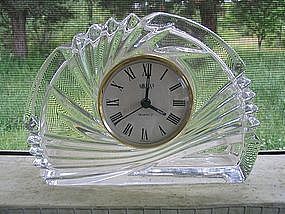 This is not a new clock, but since I've only had it a couple of years and it was used when purchased, I hesitate to identify as vintage - it may not be old enough to call vintage. It is approximately 5 1/2" in height and 4" in width (measured at the base). I am not sure of type of wood. It uses one "N" battery. Please email for additional information and photographs. I need your zip code to calculate the postage. 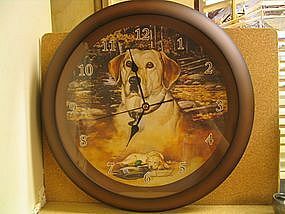 Ceramic wall clock manufactured in Japan. Quartz movement and uses one "C" battery. It is in good working order. It is approximately 7 1/2 inches in width. Minor paint loss on the rim in a few places. Complete condition photos by email. I need your zip code to calculate the postage. 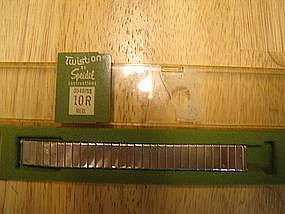 Vintage mesh silvertone stainless steel band by Speidel. It is in the original box with the leaflet which describes it as Adjustable Ends Ladies' 75R. It is 5 1/2" in length. The band has not been used. Additional photos by email. I need your zip code to calculate the postage. 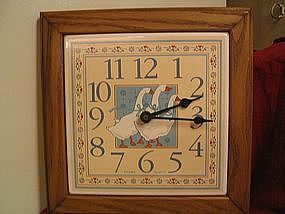 Vintage quartz clock by Elgin in the "Blue Goose" design. The frame is wooden and the tile is metal. It measures 11 x 11 inches. It is in a good working order and the hanging device is secure. I need your zip code to calculate the postage. 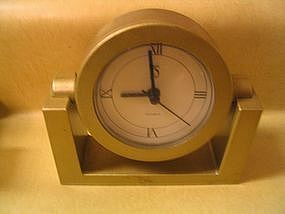 Limited edition 1996 desk clock. It is a quite heavy, weighing a bit over 2 pounds. It is in good working order. 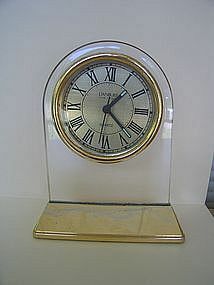 One tiny imperfection on the clock housing. Please email for photos. I need your zip code to calculate the postage.